Who is our first choice right back? With countless injuries in the early stages of the season, Sir Alex Ferguson has deployed 9 different back four combinations in our opening 11 games. This has lead to many fans offering up the question; who is our first choice right back? Rafael is by far the most orthodox right back in our squad, the twin was first choice for the majority of last year but he faded out of form and was overlooked for the Champions League Final in May. Going forward, Rafael is excellent, he has good pace and an eye for goal, however, the downside to his game is his reputation for being ‘hot-headed’ which often results in him being booked and on occasions, sent off. The main issue in Rafael’s game, is how injury prone he is, the Brazilian is currently out injured with a dislocated shoulder. When fit, Rafael is definitely a leading candidate for the right back role. Fabio or ‘the other twin’ began his career at United as a left back, however, being naturally right footed he began playing as a right back towards the end of last season, Sir Alex went with Fabio in the ‘big games’ and he even gained a starting berth in May’s Champions League Final against Barcelona. Fabio, like his brother, is very good attacking wise, but is another who is incredibly injury prone. 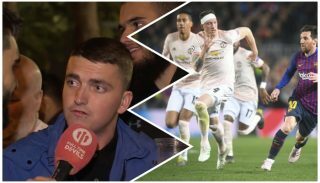 Fabio may still turn out to be a left back at United, but with Patrice Evra already having nailed down that role, he will find it difficult to break into that side of the flank. 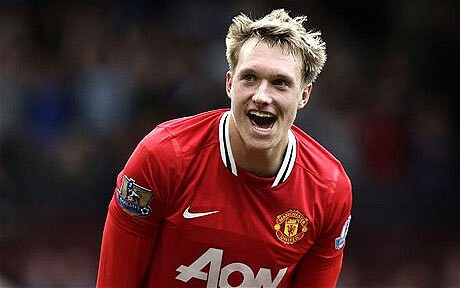 When bought in the summer, many thought Jones would occupy two positions; centre half and a defensive midfielder. However, with injuries ruling out the Da Silva twins, Jones stepped in at fullback against Bolton and was very impressive. The role suits his play style, a solid defender but capable of epic runs through defences and showed at the Reebok that he can deliver a more than decent cross into the box. 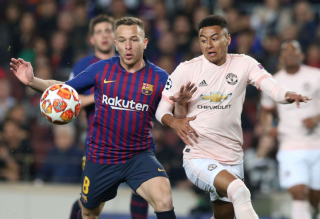 However, many see Phil Jones as a centre back, and it is more than likely that he will develop in that position, however, if there is ever any need for an emergency right back; Jones is more than capable than filling in. 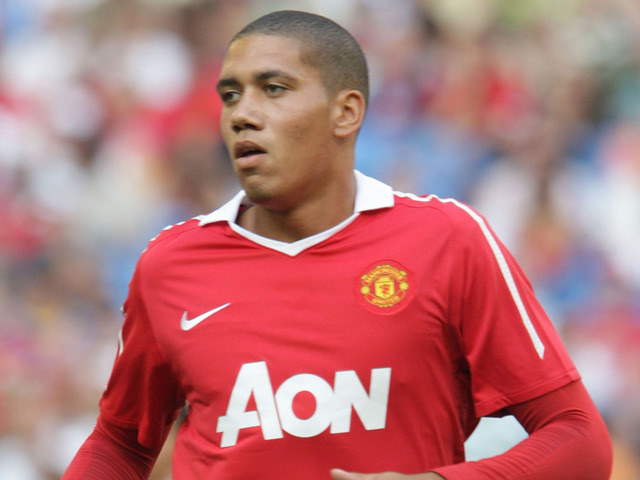 The last candidate is Chris Smalling. 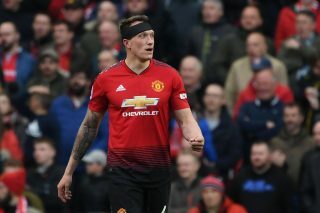 Again, like Jones, he is traditionally a centre back, and after excelling in that role last year when Rio Ferdinand was injured, it would not be a surprise if he were to cement a place at centre half in the future. However, Smalling has played at right back before, when he earned his first England Cap; Capello deployed him at right back, and he has played most of his games for United at fullback this year. Smalling seems to enjoy going forward, however his crossing is poor, and does not offer the same attacking prowess of the other candidates. Like Phil Jones, he has proved he can play as a right back, and should United ever need him, nobody would be worried watching him play on the right. 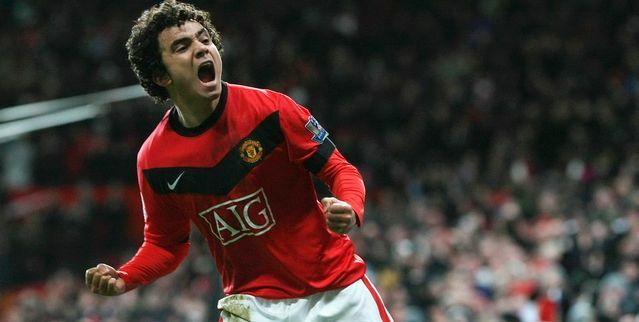 Taking all into consideration, I personally believe Rafael Da Silva is the man to lead United in the right back slot. He brings an awful lot to the table attacking wise, and is a strong tackler in defence. Fabio on his day is better than his brother, although his level of consistency is a talking point. I think Phil Jones and Chris Smalling are better off as centre backs, and that we should continue developing them in that position. However, judging by the injury record of the Da Silva’s, I don’t think we’ve seen the last of Smalling or Jones at right back. No doubt, Sir Alex Ferguson will use all four of these players at right back this season, as injuries and fatigue will make the spot hard to nail down. 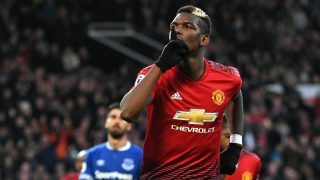 But he has the advantage that he can use four young, talented players in a single position, something that no other team in the league possesses. 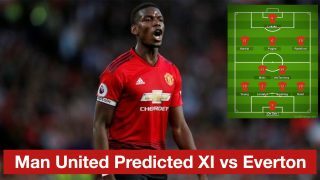 Confirmed Man Utd XI to face Barcelona: Phil Jones at right-back?